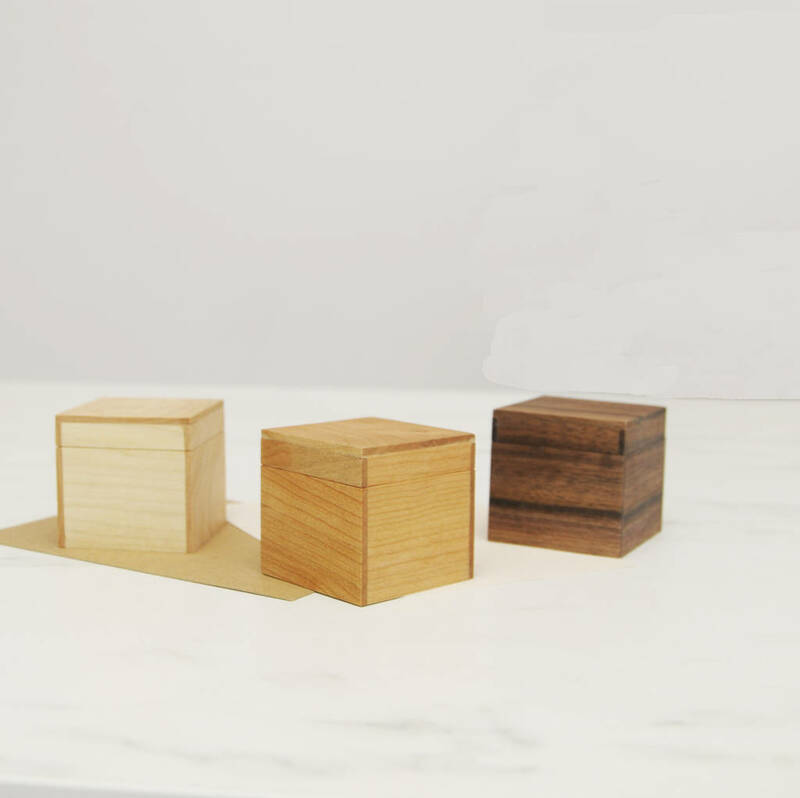 This miniature box is an attractive way to display your small memorable items. 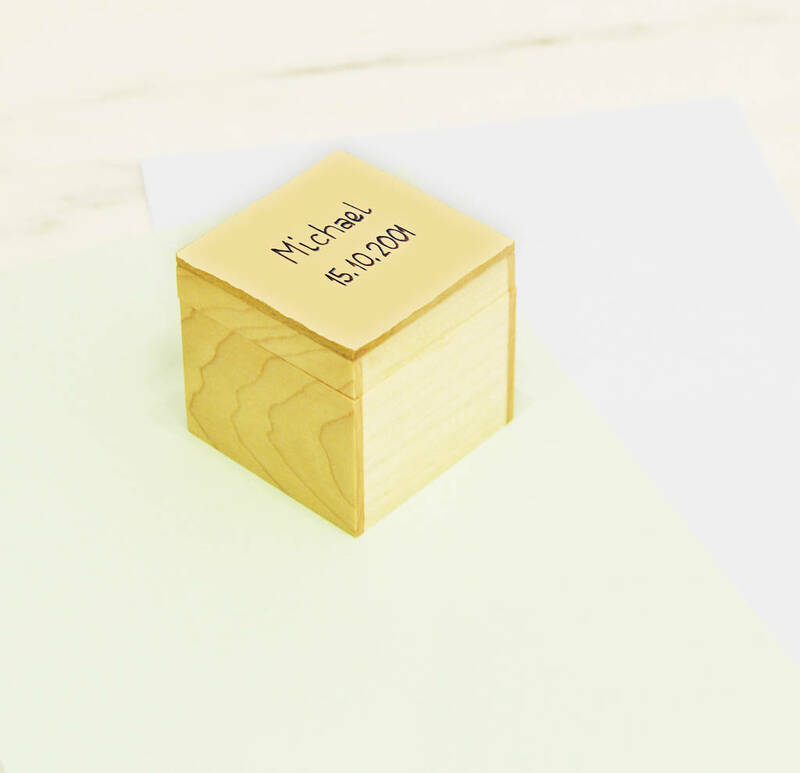 The box can be personalised with up to three lines of text which is burned into the wood by hand thereby creating an everlasting message. Each line of text can have a maximum of 8 characters including spaces. See the photograph above for an example. If you wish to select the personalisation option when ordering, you will be asked for the wording to be added. 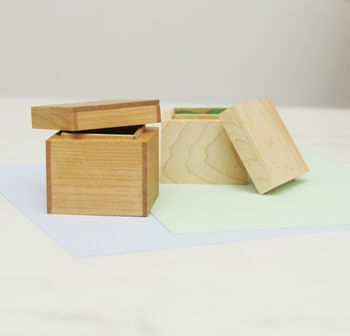 You can choose to receive the mini box in a gift box with or without a gift card in the box. The gift card is handwritten and it can have a maximum 80 characters. 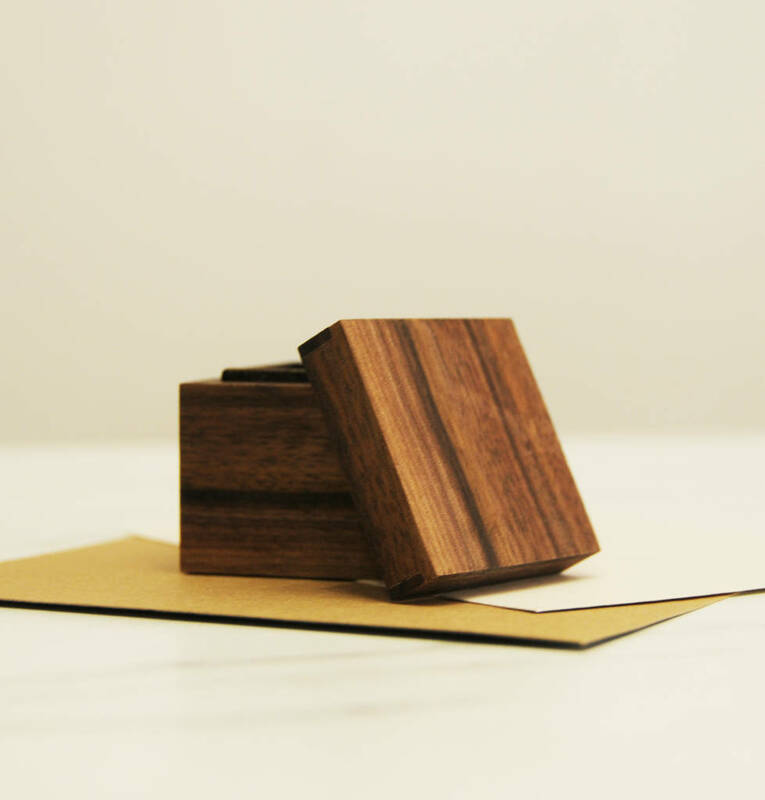 Each box is hand-crafted in the UK from maple (light colour), cherry (reddish colour) or walnut (dark brown colour). 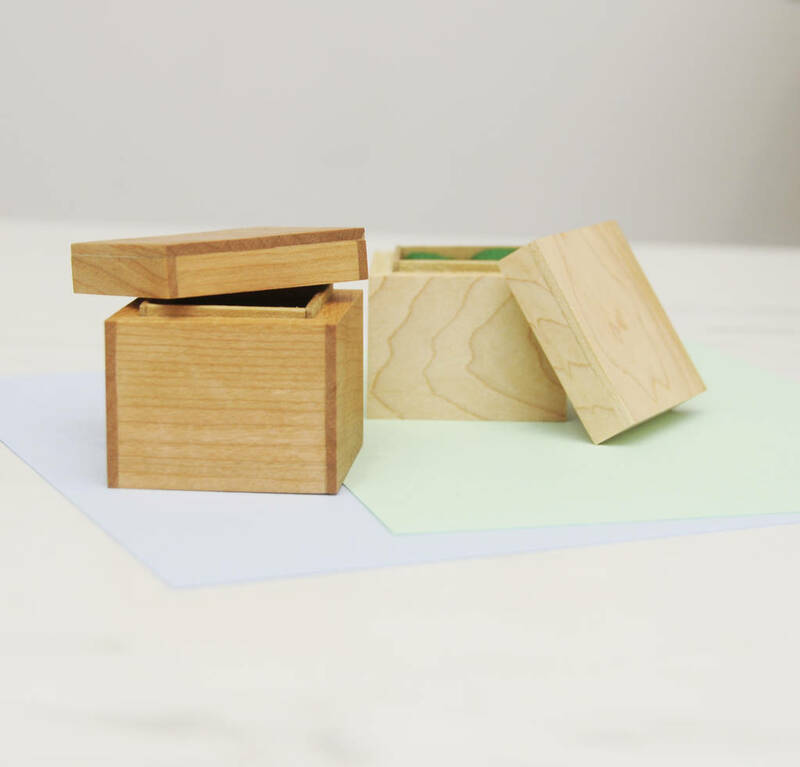 To bring out the natural wood colour of the mini box and highlight the grain pattern, the product is finished with wood oil and polished to a satin sheen with a blend of pure waxes which includes beeswax. As wood is a natural product grain patterns and colouring may differ from that shown in the photographs. 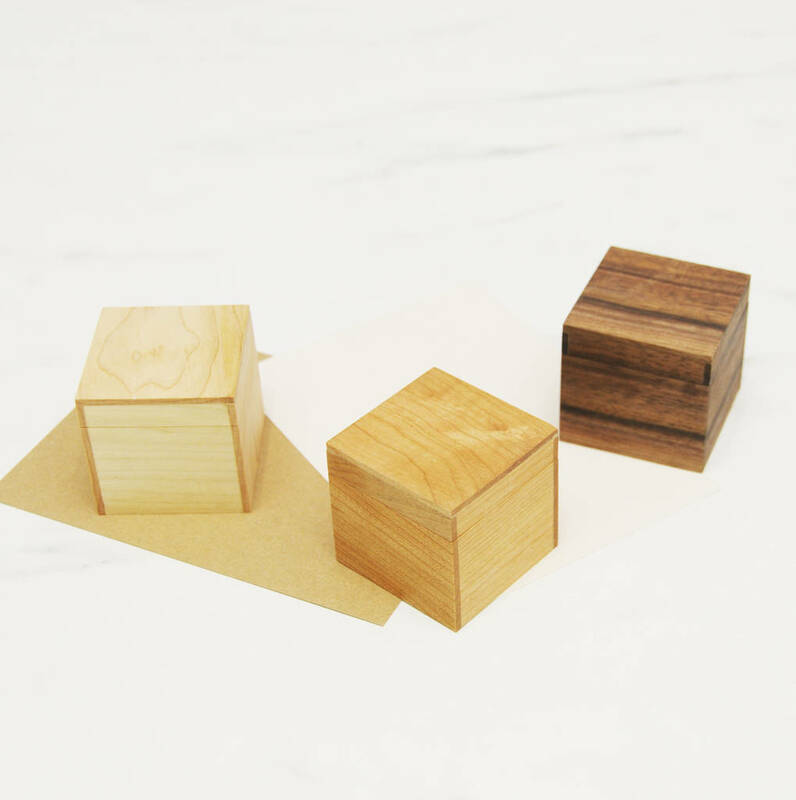 Measuring 5 cm x 5 cm x 5 cm this box will fit neatly into a pocket or handbag or sit comfortably on a bedside cabinet or dressing table.